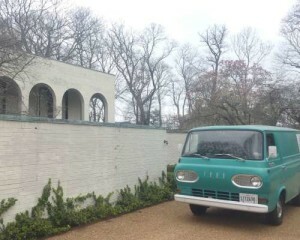 May is Midcentury Modern month at the Vintage Garage. This doesn't mean we won't have our full supply of all kinds of vintage! 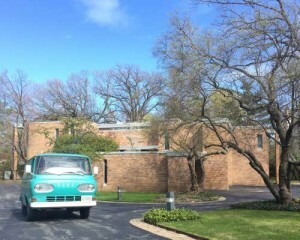 It's an added midcentury bonus! 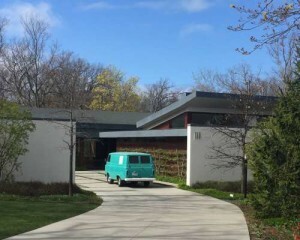 Since the north shore of Chicago has some of the most amazing Midcentury architecture, we decided an unauthorized tour would be a good way to get started! 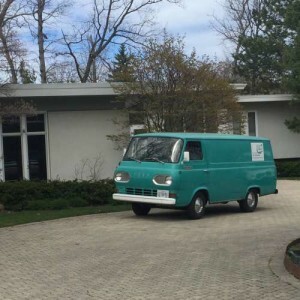 We dusted off the 66 Econoline and headed out, starting in Lake Bluff. 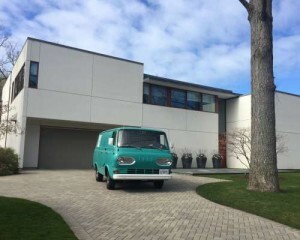 We then went south through Highland Park, Glencoe, Winnetka and Wilmette. Evanston and the City are next! Join us where we celebrate the best in vintage and Midcentury, 3rd Sunday in May Uptown! Check out all the details HERE!